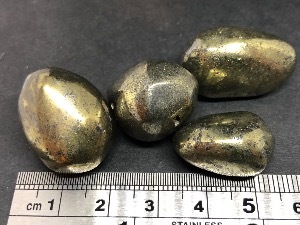 Chalcopyrite Copper & Iron tumbled to a smooth finish, an ideal pocket size stone, small enough to carry around with you. Tumble Stones can also be placed around the home for their energies or can just be nice decorative items. 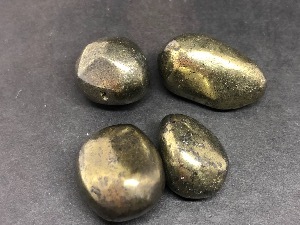 Chalcopyrite colour range includes brass-yellow which may tarnish to green or iridescent. A major ore of copper. Common in sulphide veins and disseminated in igneous rocks. This mineral has been said to may assist one in finding "lost" objects. And said to may "disappear" to accumulate information which will be beneficial to the user. It may enhance ones abilities of perception and to strengthen ones contact with the ancient cultures of the universe.